This modern hotel, which architect Piero Lissoni put in a 19th Century bank building, is a real experience. 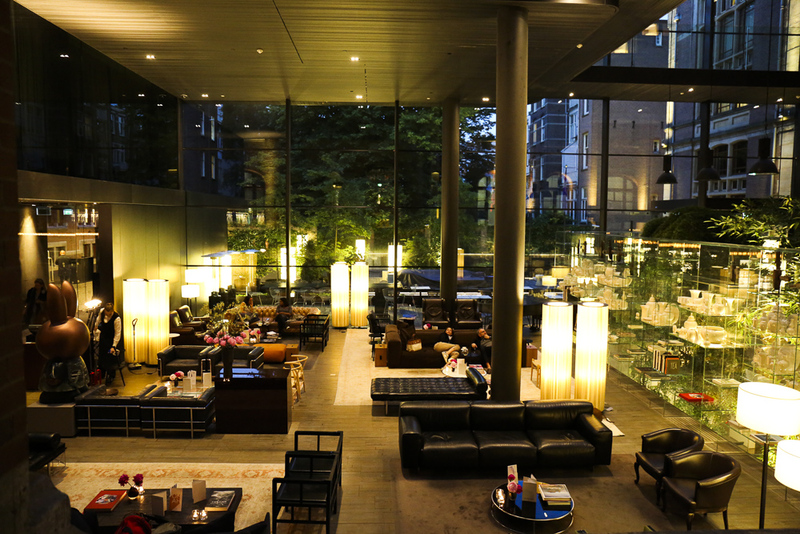 Even if you’re not staying there it’s worth passing by for a drink or a bite to eat in the spectacular glass lobby. They have an indoor garden in which fig and olive trees grow and you can sit yourself down on the gorgeous designer cushions. In the bar, which has a smokers lounge, you’ll meet guests as well as locals enjoying a drink. You will definitely need to reserve a table in the outstanding restaurant Tunes, in which Schilo van Coevorden cooks. For some more casual dining you can sit down in the lobby-brasserie and observe the interesting crowd whilst taking pleasure in the little delicacies.